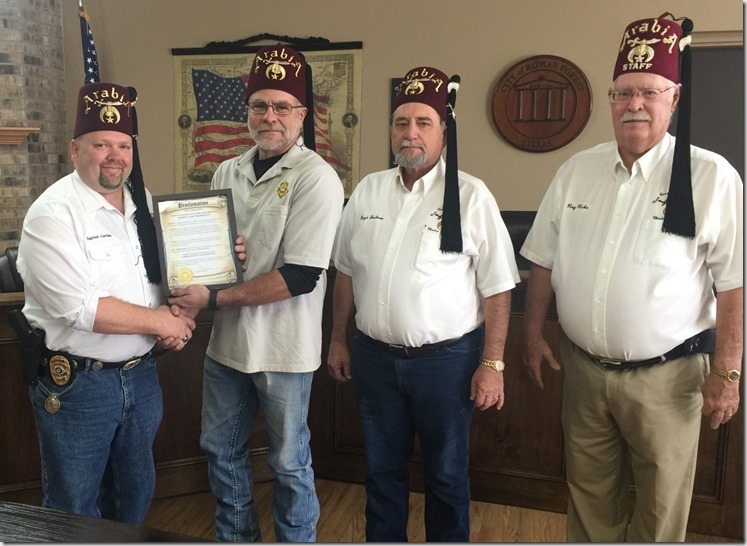 Thursday afternoon, Roman Forest Mayor Chris Parr presented a special proclamation to Shriner President Stephen Carlisle. Mayor Parr proclaimed March 8, 2016 as National Pancake Day and Shriners Hospitals for Children Day. 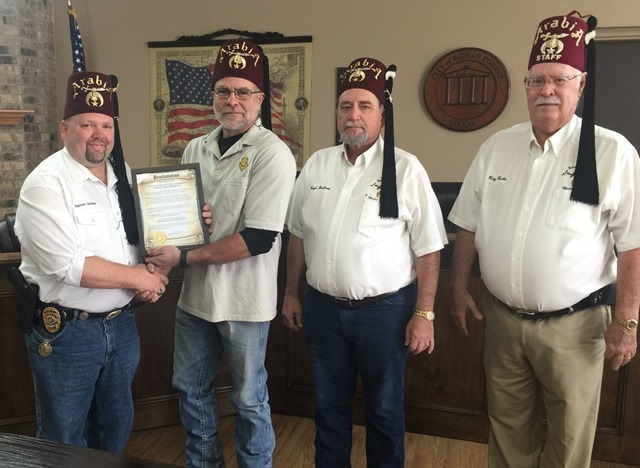 This proclamation is a unique one because Mayor Chris Parr is a Shriner himself and so are the 2 mayors before him, Ray Ricks and Floyd Jackson. 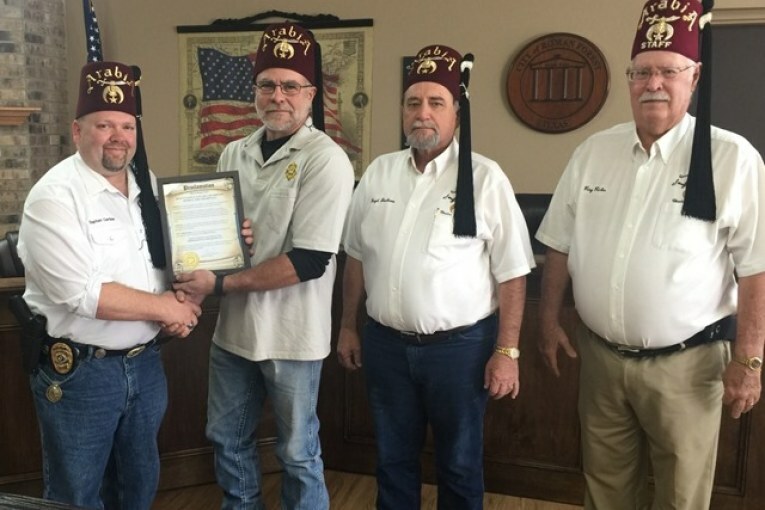 Also, the current New Caney Shrine Club President is his Police Chief, Stephen Carlisle. Pct. 4 Constable Rowdy Hayden and Commissioner Jim Clark are Shriners as well. Mayor Parr, along with many other Shriners, will be supporting Shriners Hospitals for Children at the IHOP in Porter on Tuesday, March 8th. IHOP customers will each be treated to a free short stack of pancakes from 7 a.m. to 10 p.m. Customers may consider making a donation to Shriners Hospitals. On March 8, 2016, Shriners Hospitals for Children and IHOP will team up to promote children’s health as part of IHOP’s National Pancake Day Celebration. IHOP has designated Shriners Hospitals for Children to be its charity of choice on National Pancake Day. Participating IHOP restaurants statewide will be giving away free stacks of pancakes that day, and inviting their customers to donate to Shriners Hospitals for Children. Shriners Hospitals for Children is a 22-facility health care system that provides children with expert pediatric specialty care, regardless of the families’ ability to pay for services.